Another year came and went and we’re charging proudly ahead towards 2018! While the future is bright for all of us at Lester Glenn, it’s fun to look back on 2017 to reflect on some of our most special moments. If you’ve been with us for awhile, then you know it’s been quite an exciting one! 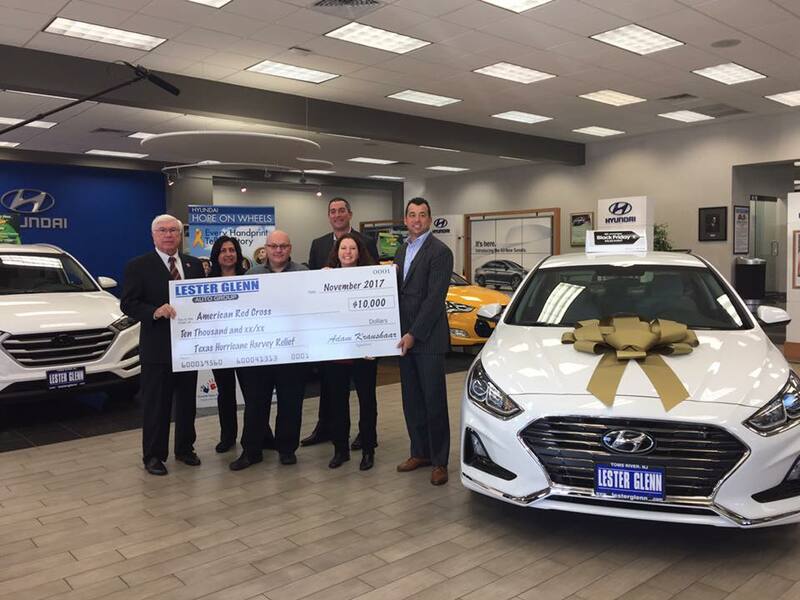 If not, check out Lester Glenn Auto Group’s Top 5 Moments of 2017! The Asbury Park Press has a Reader’s Choice Contest every year and this year we were named “One of the Best” new car dealerships in Ocean County! This of course would not be possible without the dedicated support of our loyal customers. We wouldn’t have come this far without any of you! This year and every year, Lester Glenn Chevrolet participates in Breast Cancer Awareness Month. 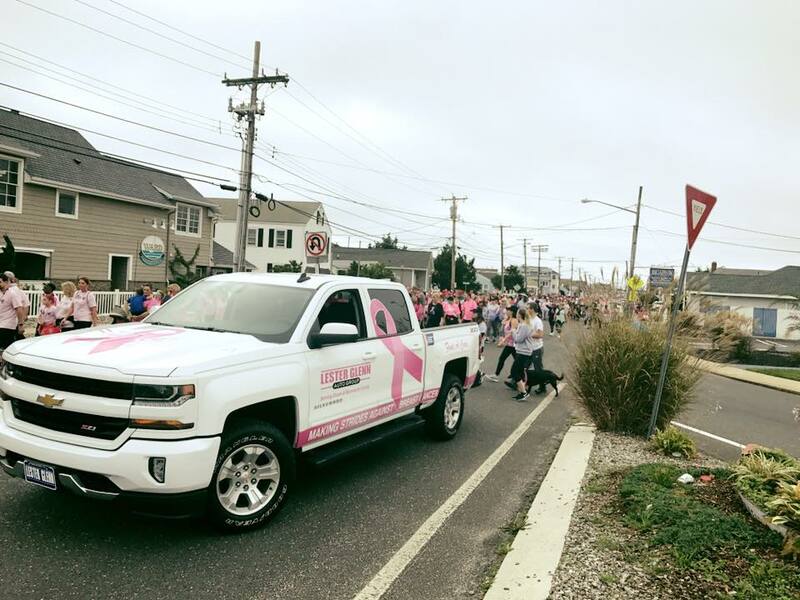 Our staff wears special t-shirts, we raise money and we participate in the Making Strides Against Breast Cancer Walk in Point Pleasant, New Jersey. We always lead the walk with a special Silverado and it’s truly an honor to be part of everything. It’s a wonderful time of year and our whole auto group comes together to show support for such an important initiative. After the devastating hurricanes struck Texas and Puerto Rico, Lester Glenn knew it was time to help. After dealing with Superstorm Sandy five years ago and witnessing the path of destruction it left in our community, we decided we had to come together to help our fellow Americans with rebuilding and recovery. We held a fundraiser over Labor Day Weekend where we donated a portion of every vehicle sold to the American Red Cross. We raised a total of $20,000 and it all went towards Hurricane Harvey and Hurricane Maria relief. Once again, this wouldn’t have been possible without the help and support of our wonderful customers. We are so humbled and proud to have been able to help. In 2017, we acquired a new location in Freehold, New Jersey that will be the home of our second Chevrolet dealership. Back in October, demolition began and we are now well on our way to a brand new store. It’s another stepping stone in the Lester Glenn legacy and we are so excited to see where it takes us! Stay tuned for more details! This year, Lester Glenn Auto Group launched our first annual showroom decorating contest for the holiday season. Every one of our showrooms were able to push their creative limits to compete for the top spot. Our Subaru and Ford stores tied for first place but all of our showrooms truly did a tremendous job. It was the perfect way to get into the holiday spirit and have all of our teams work together. We look forward to doing it all again next year! It’s safe to say that 2017 was both fun and successful for our auto group. We only look forward to bigger and better things as we start 2018 off strong. Here’s to health and prosperity; we hope to have you along for the ride! If You Don’t Have any Holiday Spirit yet, You Will Now!